Nest Watch. Abundant fish. And Long Plumes Galore. This weeks report from the salt marsh is all good news, but no breaking news as yet. 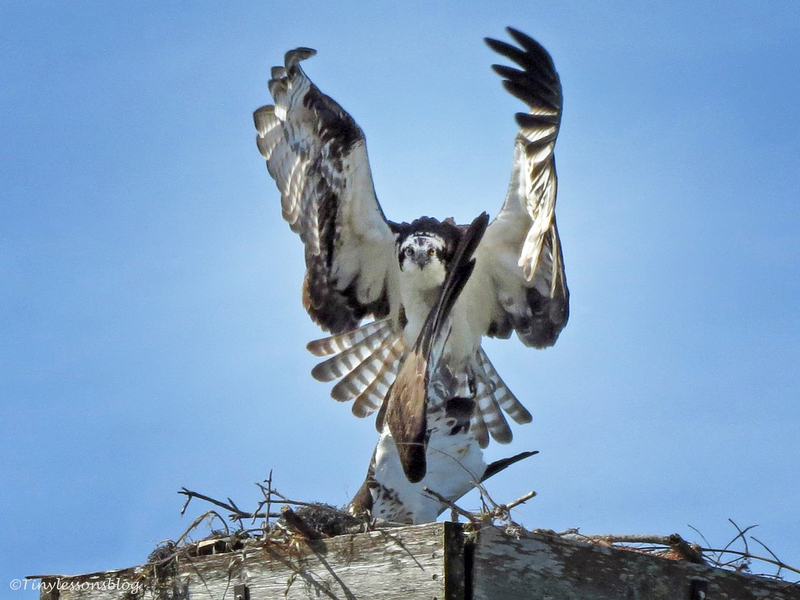 No eggs in the nest for Mama and Papa Osprey. Not that they haven’t been trying, but I guess it’s not yet the time. It’s been great seeing the two. Now that the nest is all repaired, and the nursery done, they have devoted time to each other, mating and feasting on all kinds of fish. And they share, too. When Mama is done, Papa eats the rest, and vice versa. Like another honeymoon, yet again. Papa Stanley does most of the fishing now. The other day I saw him fishing far out on the ocean, ready to dive. But then I lost him in the bright blue skies. Papa does most of the shuttling too. He comes and goes, Mama stays at the nest most of the time. 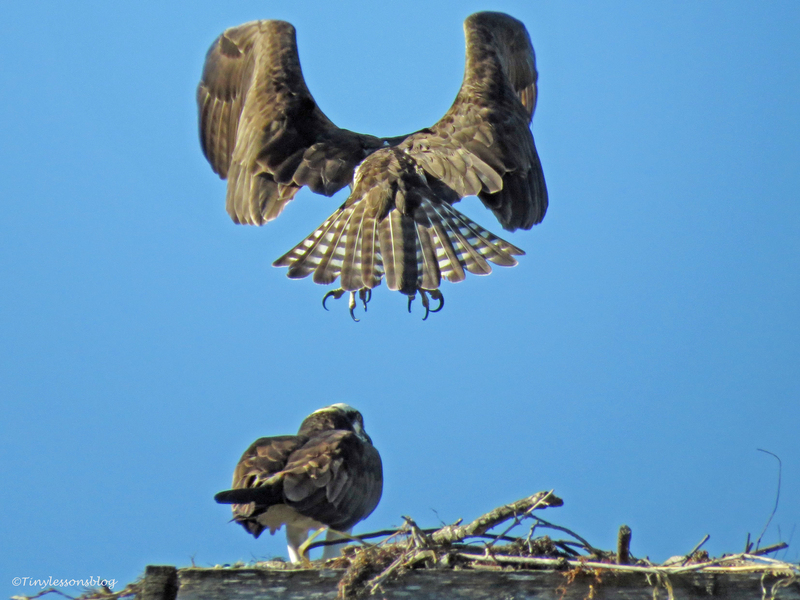 ….and returns to the nest. This morning, however, I was surprised to find Papa Stanley alone in the nest. He was on guard duty. Scanning the skies with a sharp eye. I was wondering about Mama Sandy. Where did she go? I walked away from the nest to see other birds. 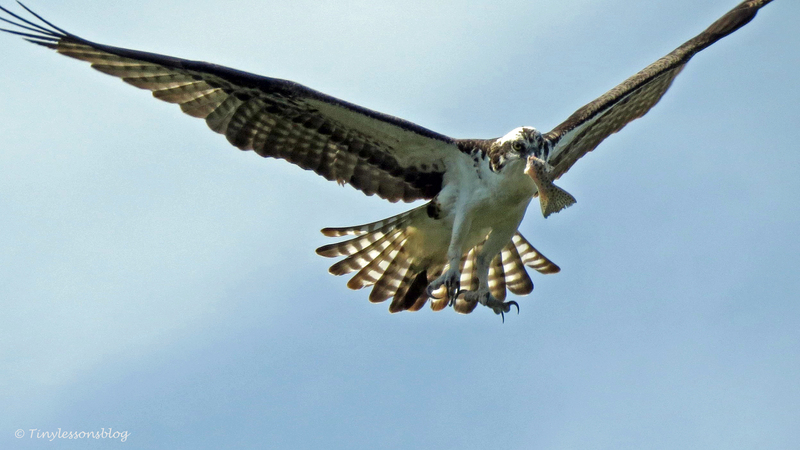 Then saw Mama Sandy fly in with a huge fish, half eaten. She had either been fishing by herself or gotten a fish from Papa, but had preferred to “eat out”. I guess variety is the spice. Both of them were too full to eat more, so she just held on to it and dozed off. Under Papa Stanley’s watchful eye. With the fish still in her right talon. 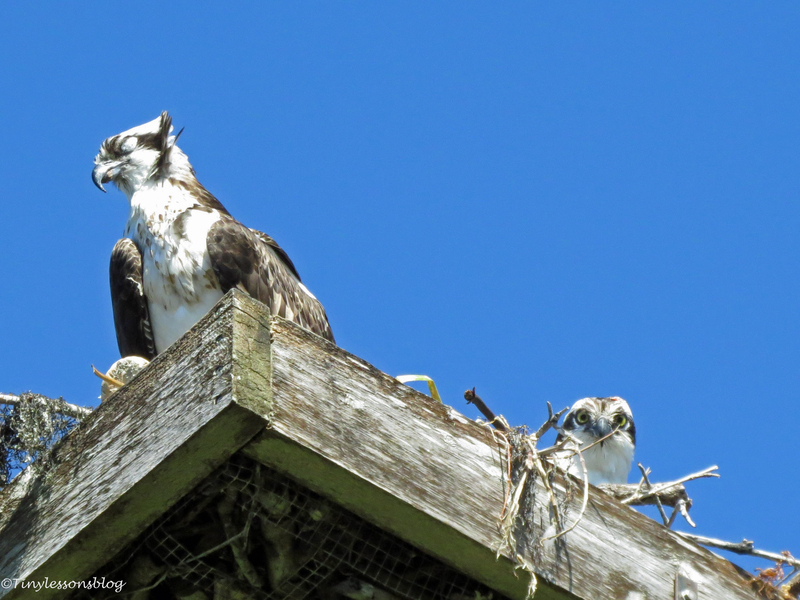 I guess that’s what pregnancy does even to the ospreys, lots of napping. 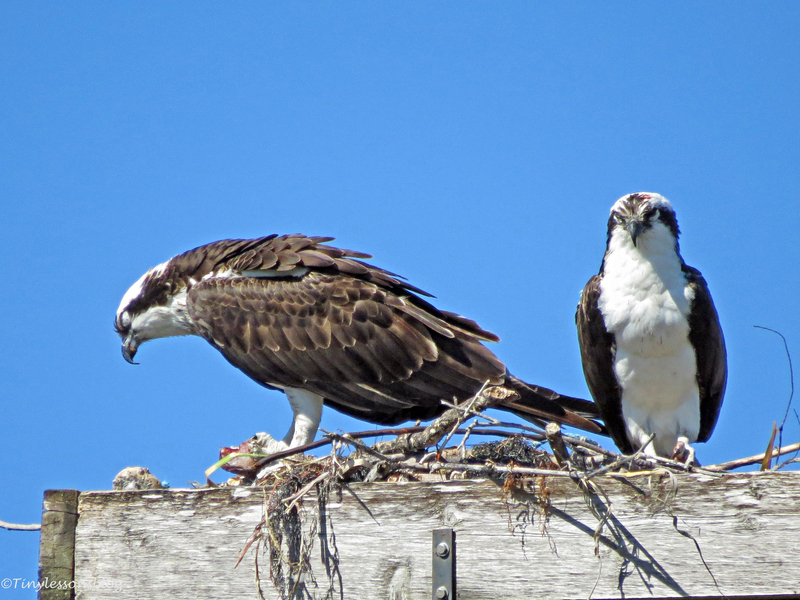 …under Papa Osprey’s watchful eye. The breeding season is getting closer for many other residents as well. 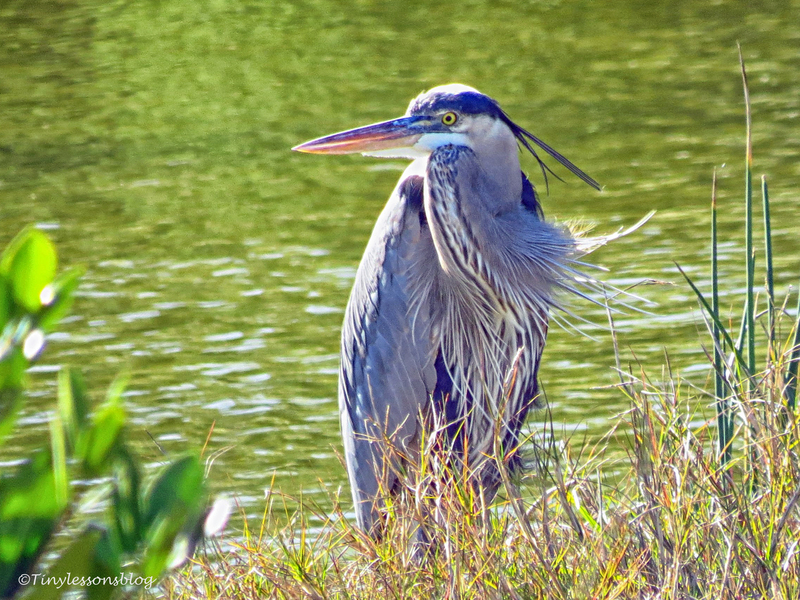 I noticed the Great Blue Heron, the Mayor of the Marsh, is sporting longer plumes now. Quite impressive looking, even when hunching like this. 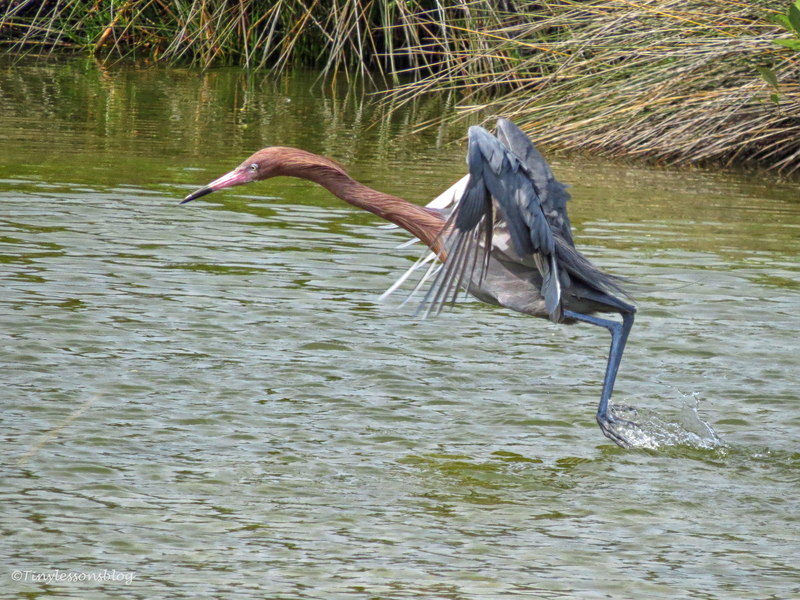 And so is the Reddish Egret, the showman of the marsh. He is loud and very expressive, to say the least. And he’s a good hunter. …then proudly shows off his catch. So the circle of life in the salt marsh is slowly turning towards spring, many nests will be built under the mangroves and in the bushes close to the water. 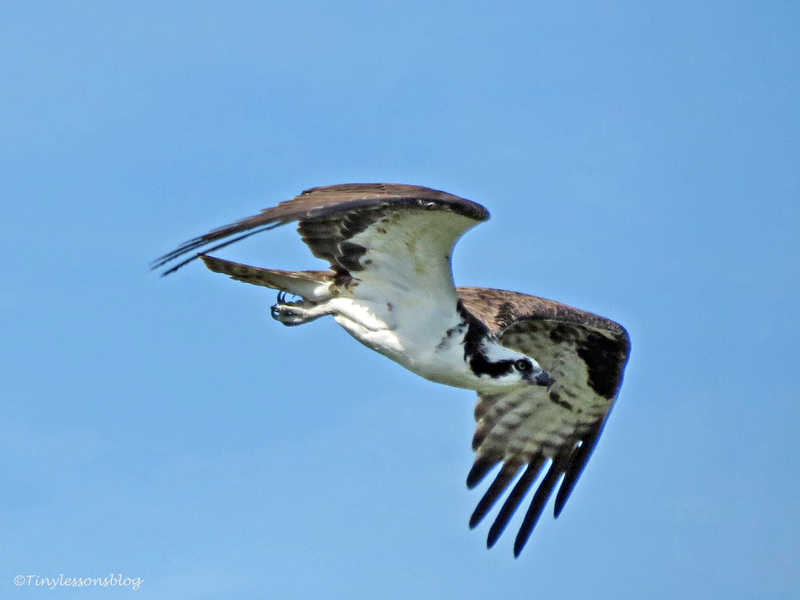 And in the next couple of months we may spot some little ones, in the osprey nest and around the marsh. 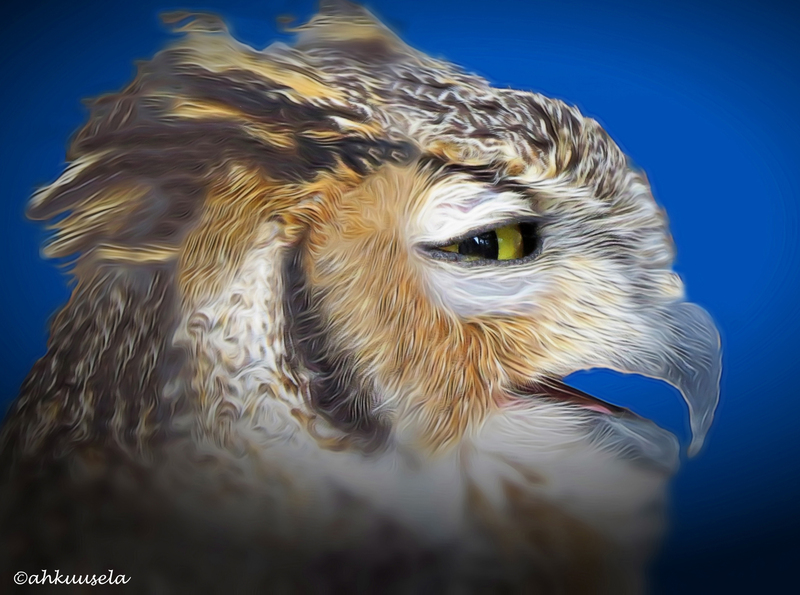 Previous PostBrain Scan.. Not as pretty as my artwork…Next PostClearwater, FL. Destination for Your Outward-bound Vacation. These photos are absolutely amazing! Thank you Hien! 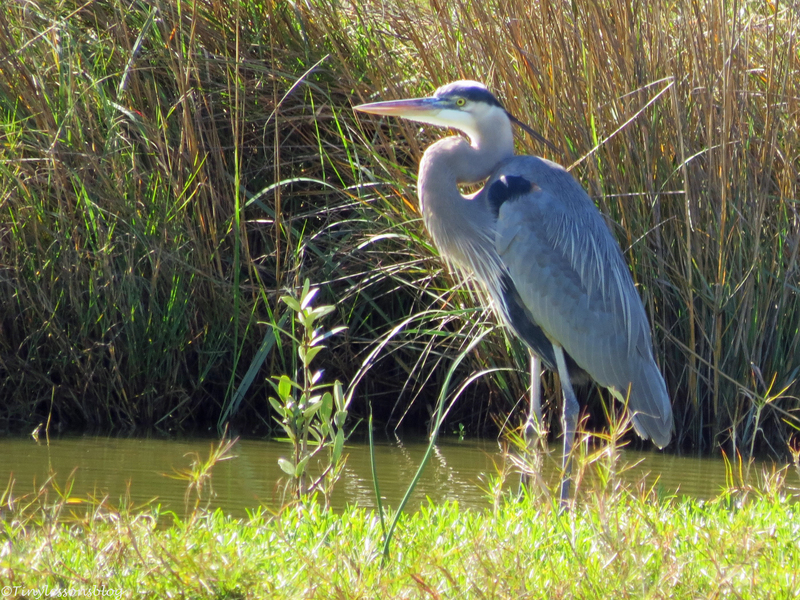 It’s a pleasure to “shoot” these amazing birds in our salt marsh. Happy you liked the birds, Julie. No sign of spring in my neck of the woods. Brrrr. I know, but in a few more weeks. And the spring up there is so beautiful…worth waiting, right? Well I did see some crocuses starting to bloom in Vancouver last week, so that was a nice sneak peek into what’s coming. 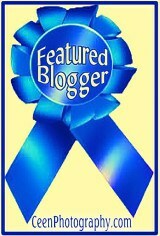 Thanks Cyndi for following the saga of the salt marsh! Incredible. NatGeo is missing out on something BIG! I’m still grinning BIG! But happy you liked it David. It’s still too cold in Virginia for the birds to be migrating back. I do think though we’re seeing more robins than usual, so maybe they are coming back. The nights are very cold, but the days have been in the 50’s. Hi Nancy! It’ll not be long before the birds start moving that way. 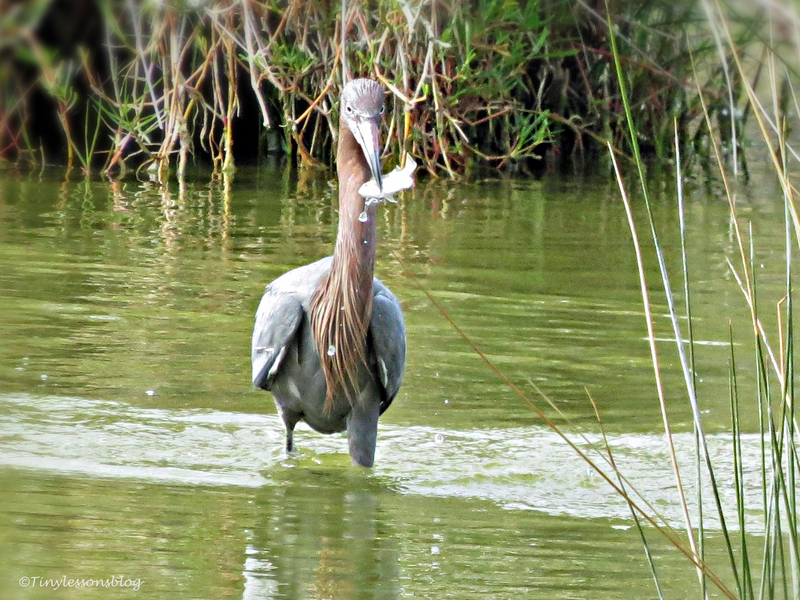 I’ve noticed many of them make a “pit stop” here in the salt marsh. Here’s to an early spring! Great shots Tiny!! I love the story too .. Of course! Thanks Val! 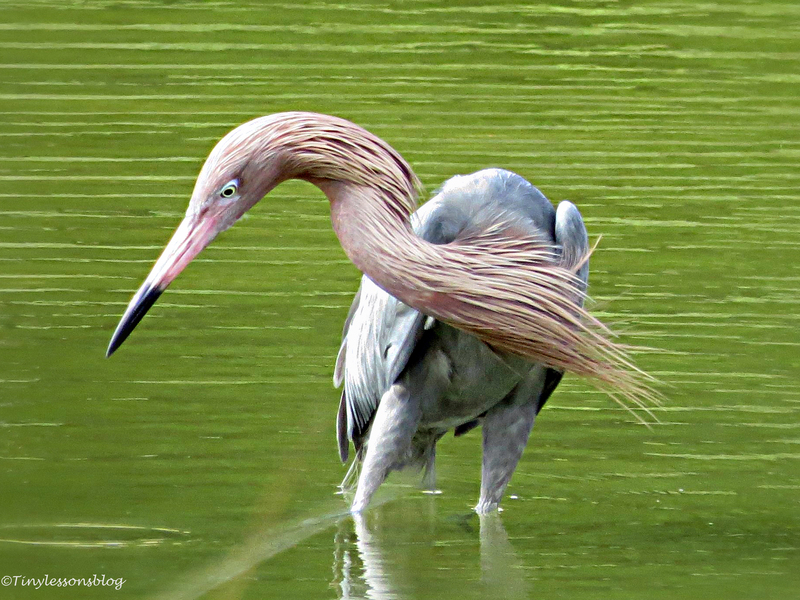 The Reddish Egret really is a showman 🙂 He is so dramatic in his movements, and his theatrics are too funny, but most of the time I’m not fast enough for him. As usual–the pictures are absolutely amazing. Happy you enjoyed the birds, Sheryl. No breaking news yet! LOL! You make a wonderful wildlife reporter, Tiny. 😀 I’ll give you breaking news as things happen… er…if I happen to be on patrol when they happen. The birds and I value your readership. I love following along with the avian love affair and can’t wait for the young ones to arrive. All excellent shots as usual, Tiny! That’s a great love affair, isn’t it. I’ll try to take some pictures of the really small one(s) from my terrace, when the time comes, and hope the tele photos will be sharp enough to actually see them before they are big enough to peek out of the nest. Fantastic photos, Tiny. Love the one of mama Sandy napping. 🙂 You really got some amazing closeups of the Reddish Egret! 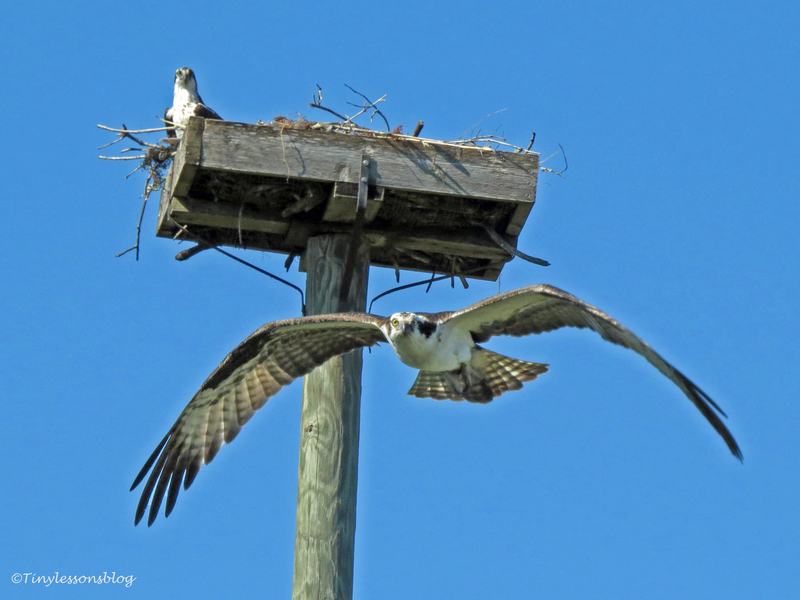 Hope to see some babies in the Osprey residence very soon. Mama Sandy is clearly napping more now, particularly after she has eaten. And Papa stays with her when she’s napping. I think that’s quite sweet 🙂 The Reddish Egret is such a showman, I wish I could be fast enough to capture more of what he does. He’s hilarious! Great reporting, Tiny. (I find it is easier to wait for spring now that I live in Florida . . . up north, the wait seemed interminable). Thanks Nancy. I fully agree. Six years ago this week we had seven huge pine trees fall down in a blizzard next to our house in MD. Not fun, and spring seemed very far away. We moved here just over 6 years ago . . . also from MD. We lived on the Eastern Shore, on Deal Island, a small island in the Chesapeake Bay. Where were you? Deal Island is QUIET, surrounded by marsh. A sleepy fishing village. At the turn of the previous century, it was a destination resort with a ferry from Baltimore each day ~ boxing rinks, ice cream parlors, etc. Then a storm wiped out the amusements and the depression dried up the influx of cash. By the time we moved there, in 2000, the residents no longer missed the daily influx of tourists . . . content to watch the crabbers bobbing about in the sound. I love that reddish egret! I don’t think I have seen one before, but very amazing looking. 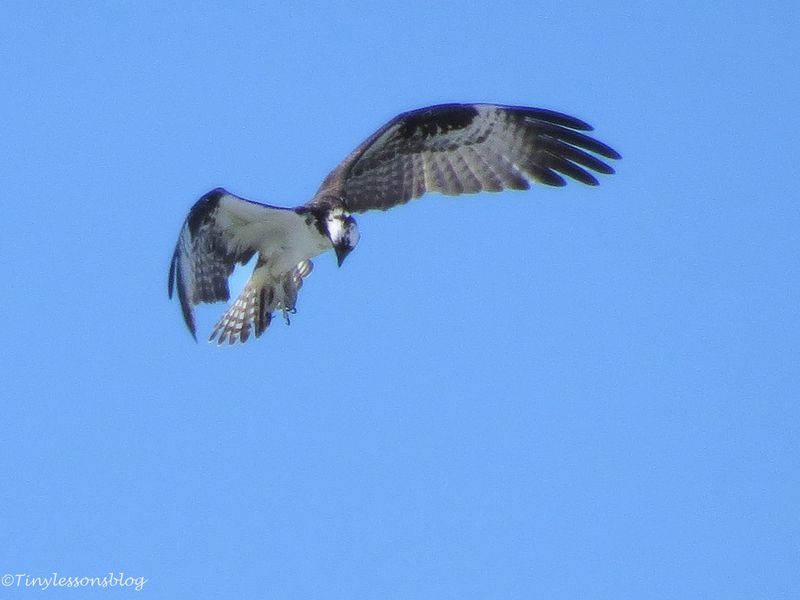 Ospreys for breakfast (mine consisted of Cheerios with banana slices, but still…) A lovely way to start my day! Thank you! Oh, my! Sweet Tiny these pictures are all terrific, beautiful, amazing captures. I have never, ever seen such gorgeous action shots. Hugs! Thank you Mags! I’m happy my little big birds bring some joy to you. Many hugs! Is this the Sand Key nest? That’s a great nest. Cool shots of the couple! Yes, it is! They are a great couple and the little salt marsh attracts so many birds. 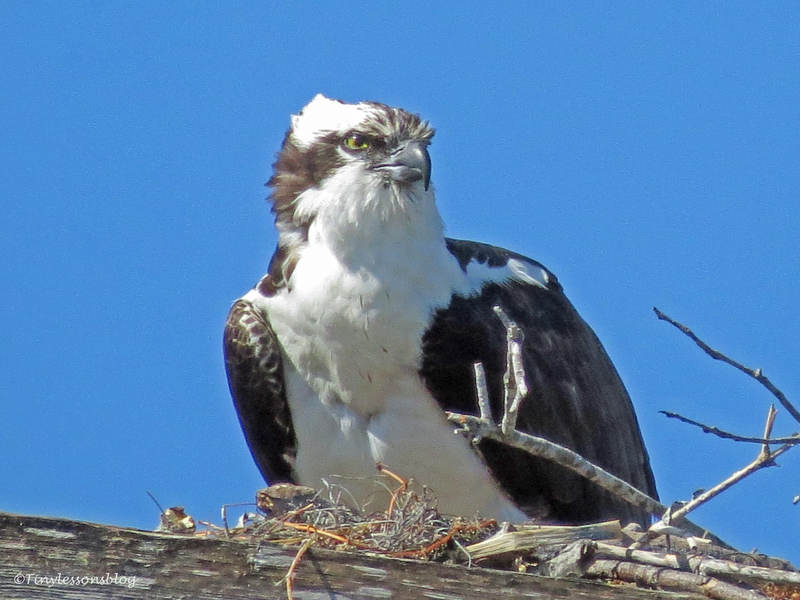 There is another osprey couple around too, but I haven’t figured out where their nest is, yet. Beautiful series of photos ~ the Reddish Egret is incredible, and like the description you have of him where he is the showman of the marsh. I’ve never seen one before, so it is nice to get such a look at this beautiful bird here. Wonderful shots. Happy you liked them Randall. The Reddish Egret is fairly rare, conservation status “nearly threatened”. We’re lucky to see this bird so often here. He runs, jumps and spins in pursuit of food items, and then shakes off the water in a way that makes you smile. Showman of the Marsh ~ that is just what I would expect of him 🙂 Cheers!